Here, I present to you my awesome and not so good progress from those past two weeks. 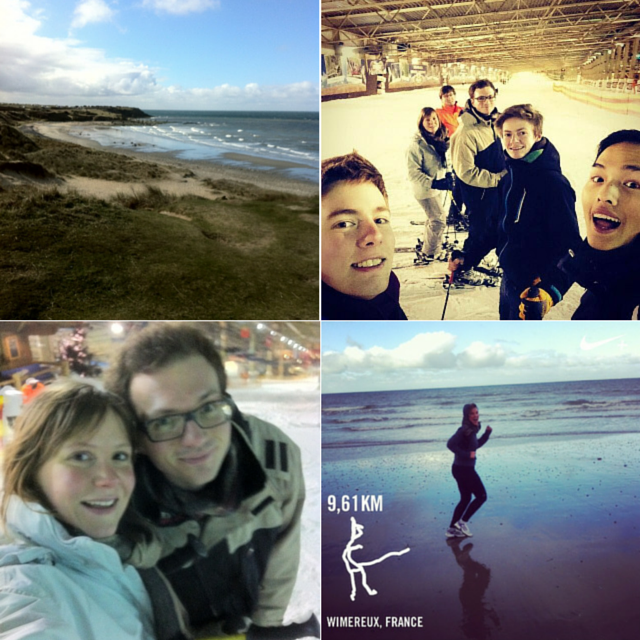 I spent two weekends doing some intense sportive activities (huh huh) that included breaking records at the beach again and skiing for 5 hours. To refresh your memory, read part one and two. The first week, I was pretty chuffed by my longest run of more than 10K. My phone died while I was running and my Nike+ app stopped working but I swear I was on fire that day! I could have ran even longer. Maybe it was the fresh air of the sea, I don’t know. Week 5 didn’t go so well, as I got sick, started a new post at my job and felt stressed and cold and tired and even more stressed. I did nothing at all about my training except going skiing with the bf’s family on the weekend. I am really improving each time I go and I feel so much more confident than at the beginning. Granted, last weekend was spent skiing indoor but I think I would still do a nice job in real conditions. If you’re training for a race, how do you keep motivated to stay on your training schedule?